Buffalo State College will not tolerate power-based interpersonal violence (sexual violence, relationship violence, and stalking) and is committed to addressing power-based interpersonal violence by providing prevention education programs, holding offenders accountable and providing support services to victims/survivors. These are issues of significant concern on all college and university campuses. Understanding the reality of power-based interpersonal violence is the key to ending it. The more you know about these crimes, the more likely it is that you can avoid being a victim.  There are people and programs at Buffalo State that can help you learn more. The Counseling Center provides leadership to address power-based interpersonal violence within the Buffalo State community. We work closely with campus and community partners to establish an environment that supports and empowers victims/survivors and that challenges a culture that accepts power-based interpersonal violence. Student Success YouTube Channel Complimentary violence prevention videos including topics such as consent, stalking, healthy relationships, the new "Yes Means Yes" law, and others. Not Any More An interactive online program intended to reduce interpersonal violence on campus.